Store your goodies with superhero style! 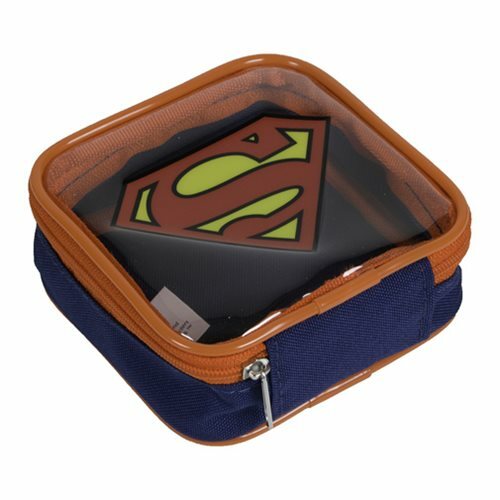 This Superman Logo Square Zipper Pouch is perfect for all your small items. This handy pouch features a clear lid and secure zipper so you can store your items and go. Made with durable microfiber material and Superman's iconic colors, this Superman Logo Square Zipper Pouch measures about 4 1/2-inches long x 1 1/2-inches tall.